Condo for sale of 39.3sqm, consisting of 1 bedroom located at Sai Ying Pun, Central & Western. 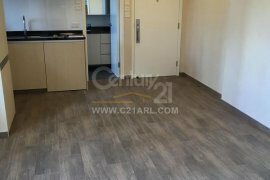 Condo for sale of 42.64sqm, consisting of 2 bedrooms and 1 bathroom located at Wan Chai, Hong Kong. Condo for sale of 112.32sqm, consisting of 3 bedrooms and 2 bathrooms located at Happy Valley, Wan Chai. Condo for sale of 87.14sqm, consisting of 2 bedrooms and 2 bathrooms located at Wong Chuk Hang, Southern. Condo for sale of 183.39sqm, consisting of 3 bedrooms and 4 bathrooms located at Stanley, Southern. Condo for sale of 183.48sqm, consisting of 4 bedrooms and 3 bathrooms located at Repulse Bay, Southern. Condo for sale of 129.14sqm, consisting of 3 bedrooms and 2 bathrooms located at Repulse Bay, Southern. Condo for sale of 115.11sqm, consisting of 2 bedrooms and 2 bathrooms located at Repulse Bay, Southern. Condo for sale, consisting of 1 bedroom and 3 bathrooms located at Sheung Wan, Central & Western. Condo for sale, consisting of 1 bedroom and 1 bathroom located at Sheung Wan, Central & Western. Hello, Please contact me, I am interested in condos for Rent in Hong Kong. Best Regards. Dot Property Hong Kong is an online property portal where thousands of property searches happen every day. Start your search today for affordable property for rent in Hong Kong from 13 available listings. Condominiums, houses, and luxury properties are available for rent in Hong Kong. Hong Kong’s properties for rent are either listed by private home owners or property agents such as Accom Asia Co.,Ltd, brylle martinee and Deux Diaz. Refine your search to help you find the perfect Hong Kong property by price and number of bedrooms.